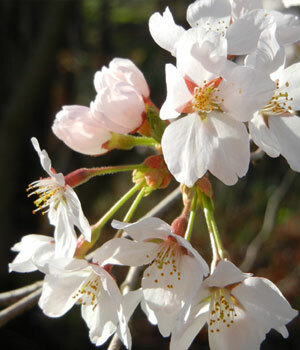 One of many varieties of cherry blossoms that usher in spring in the Arboretum. 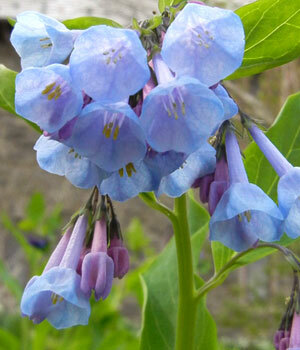 This woodland plant adds the color around Out on a Limb. 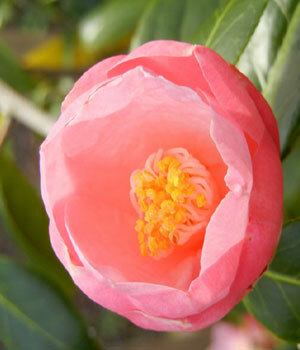 This bright-flowered plant is a member of the Theaceae, the tea family. 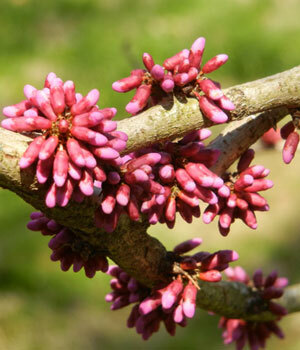 In the Fabaceae, the eastern red bud has a brilliant pink bloom in April. 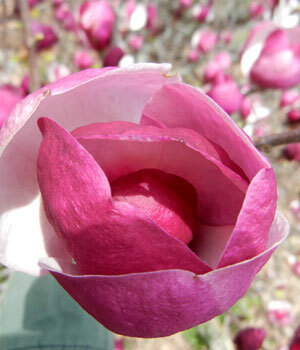 The giant flowers of the magnolia bloom before its leaves emerge. 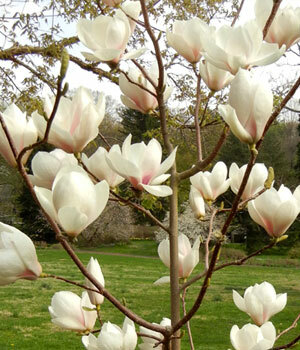 The flowers of this common hybrid magnolia add a bright pop of color to the Magnolia Slope.